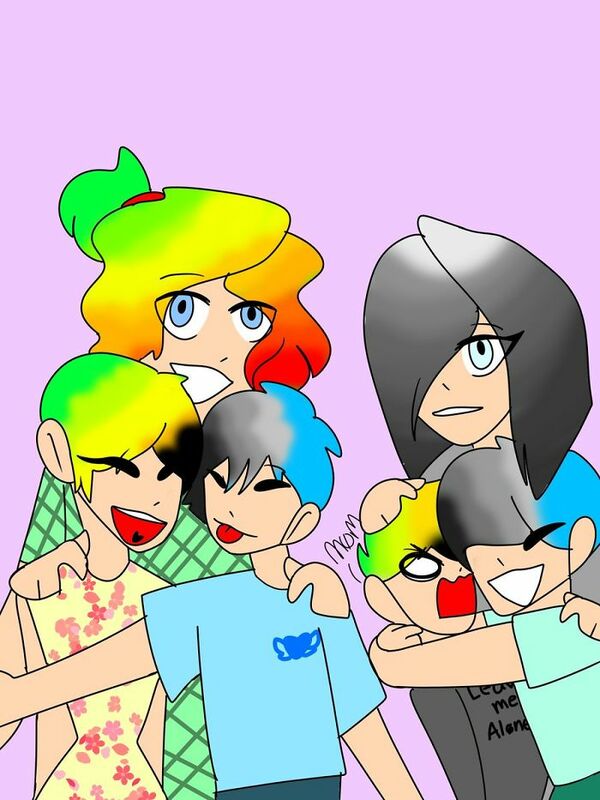 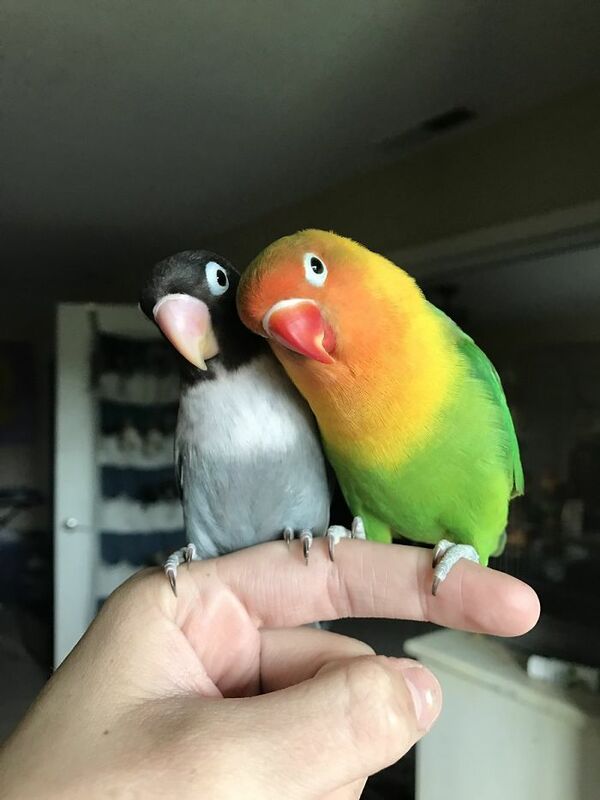 This adorable love story is truly colorful. 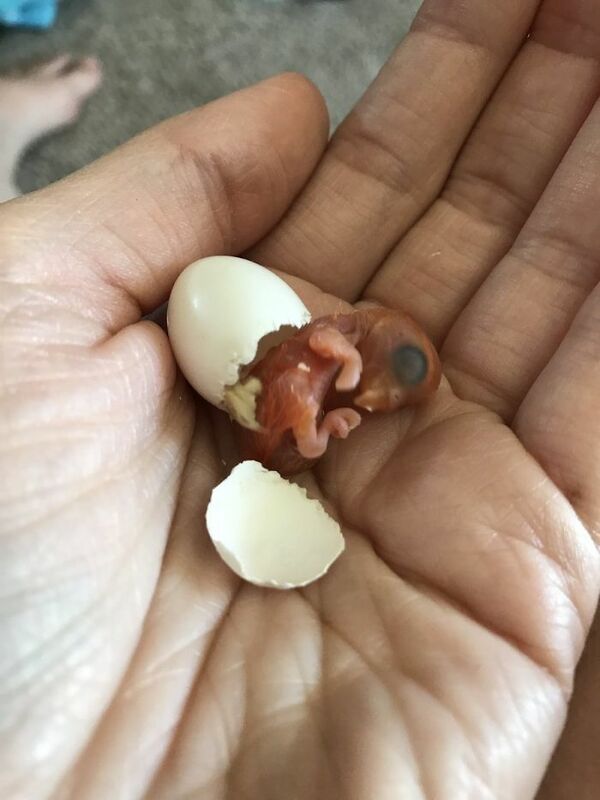 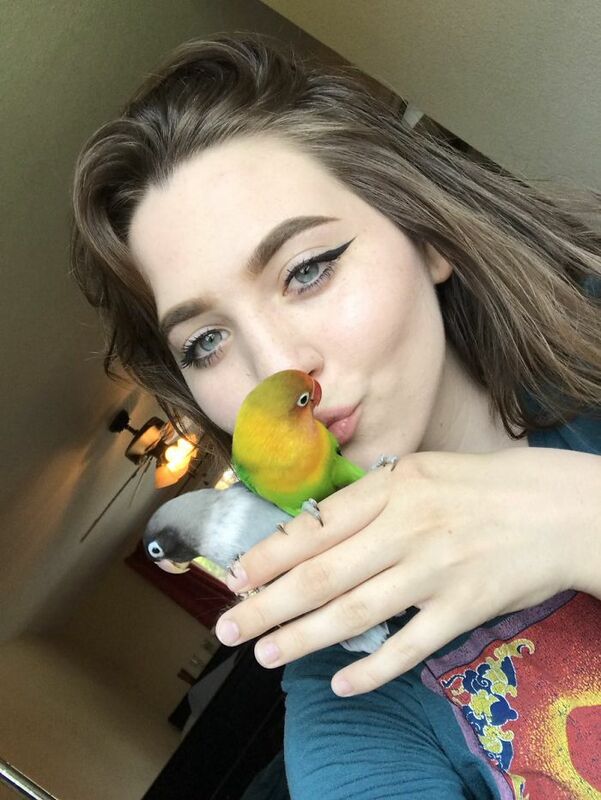 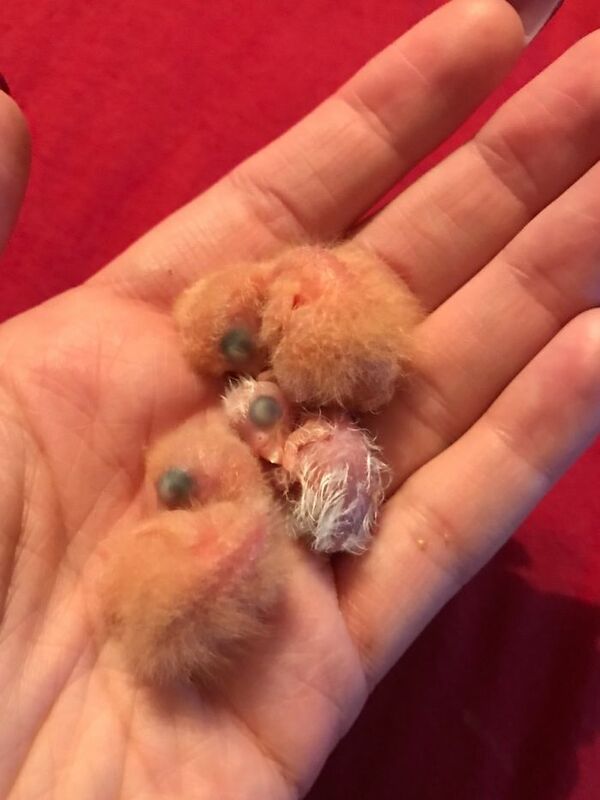 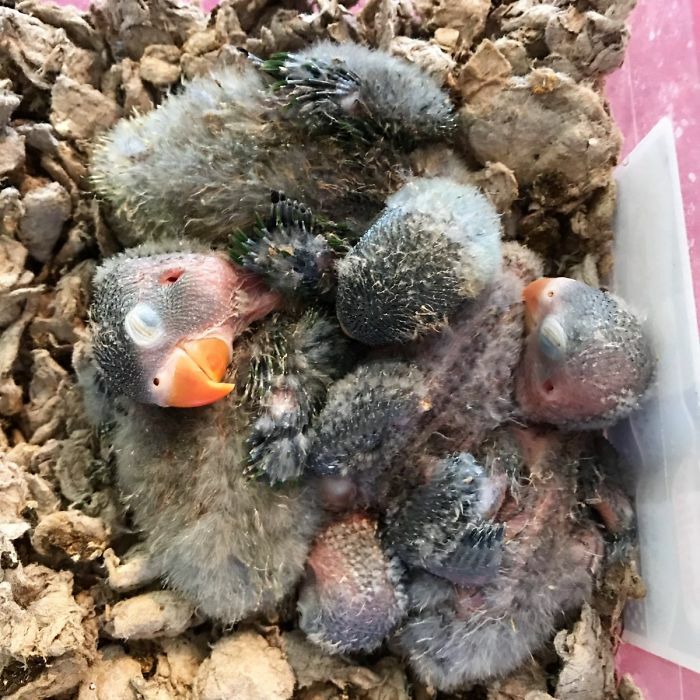 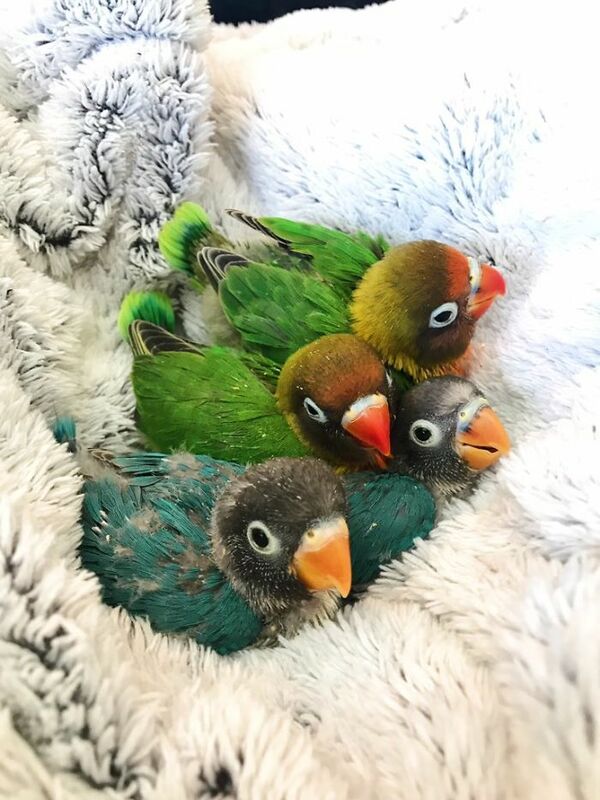 19-year-old Maura T. Hennelly shared the love story of her parrots on Twitter and the internet fell head over heels for the two drastically different lovebirds. 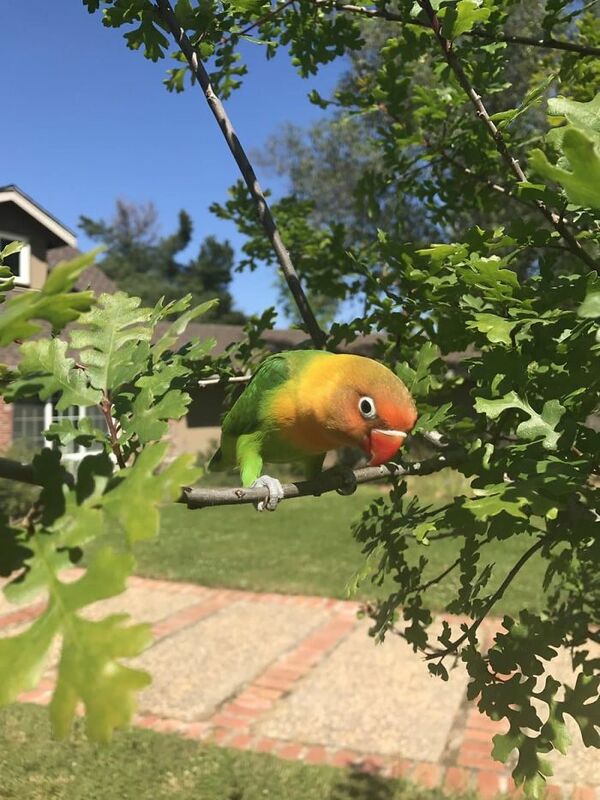 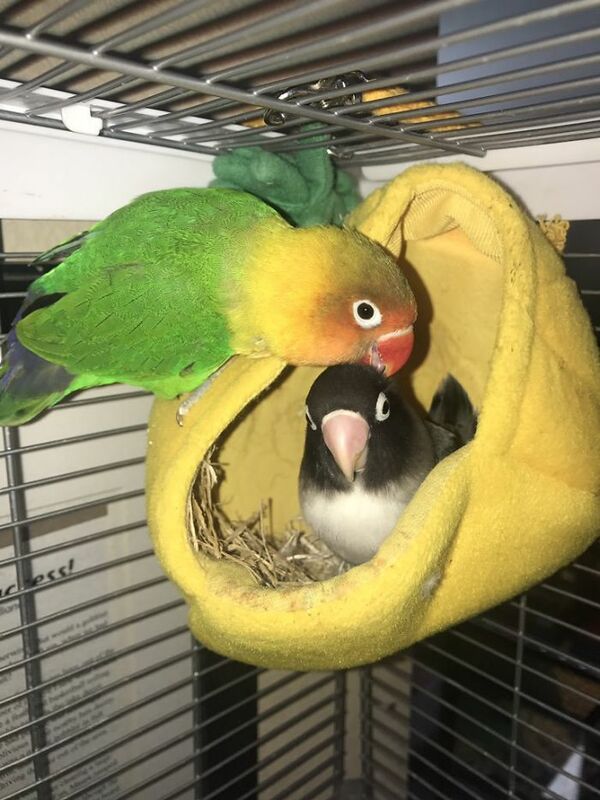 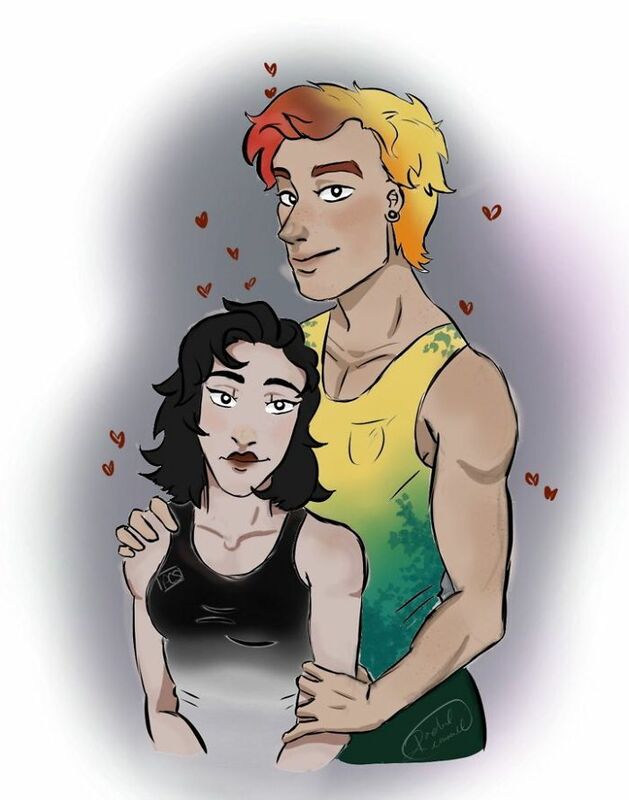 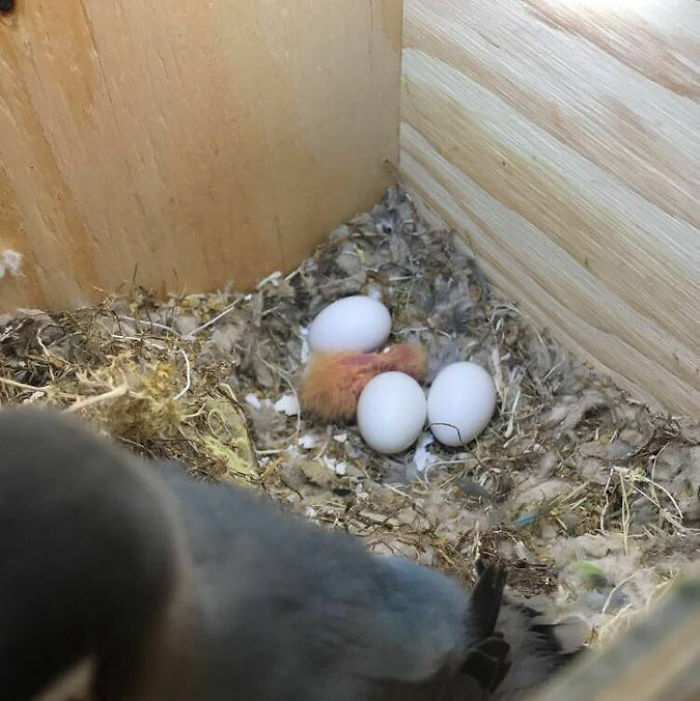 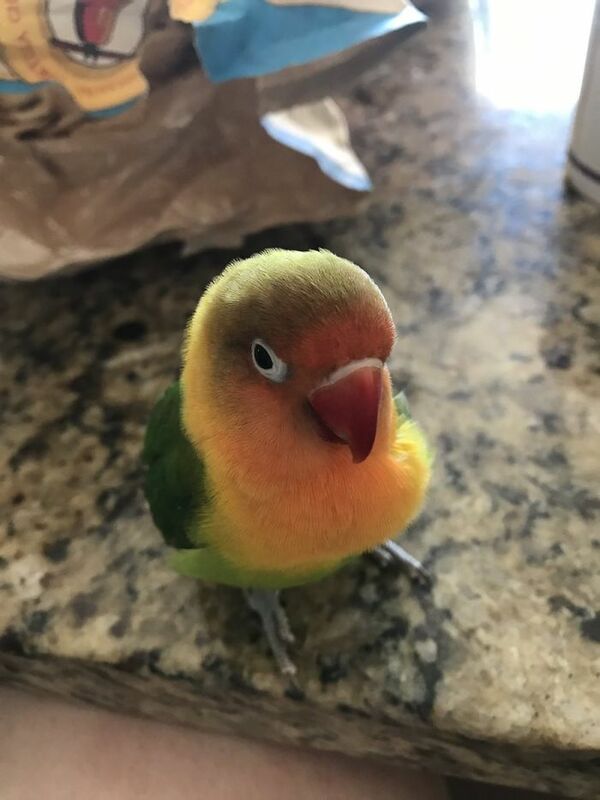 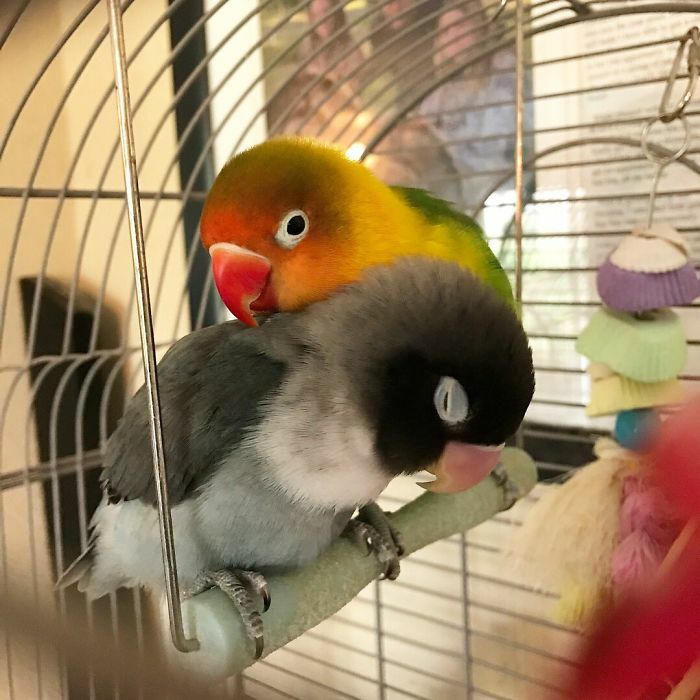 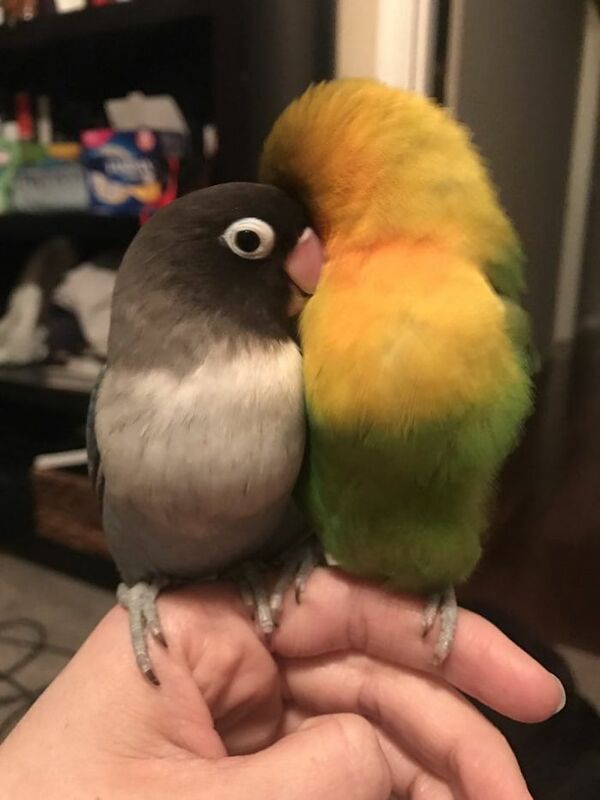 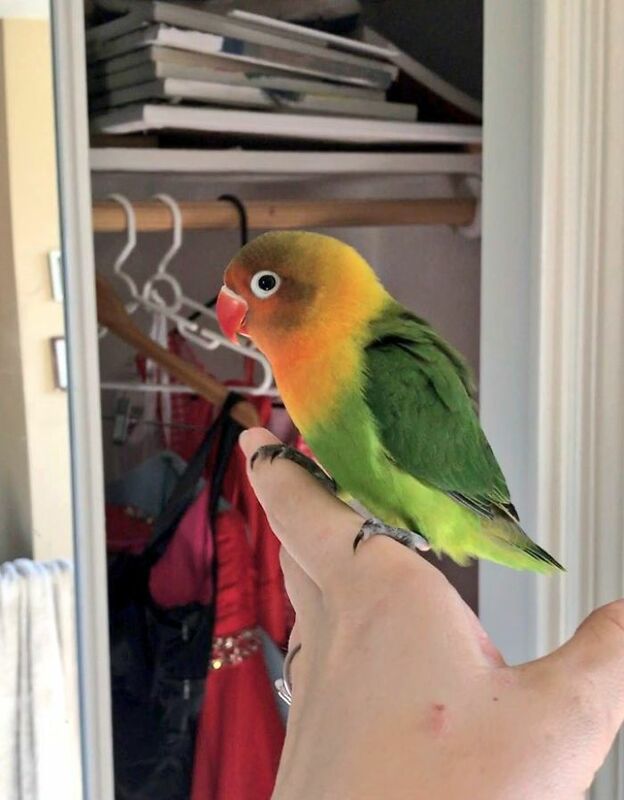 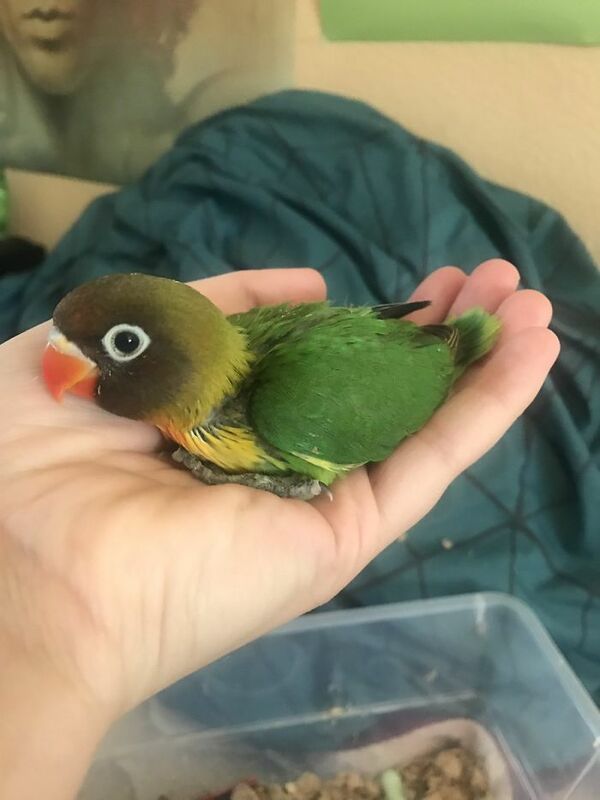 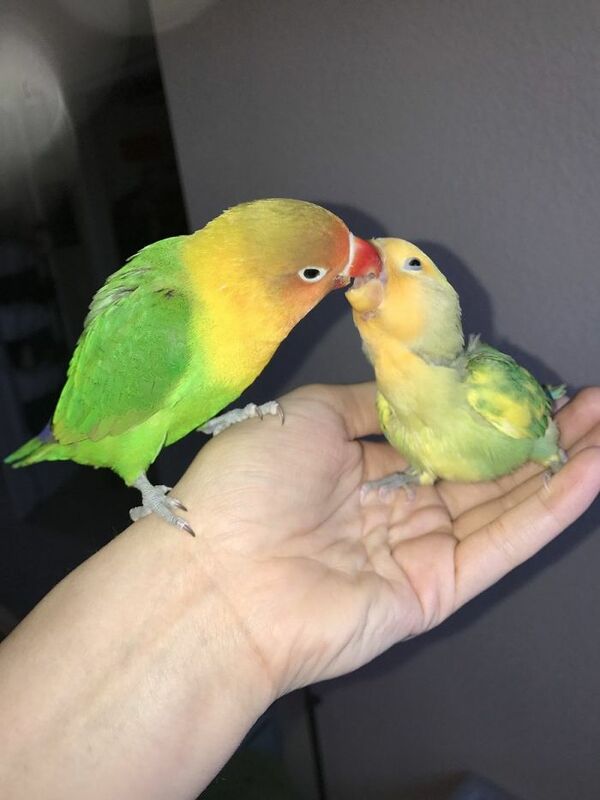 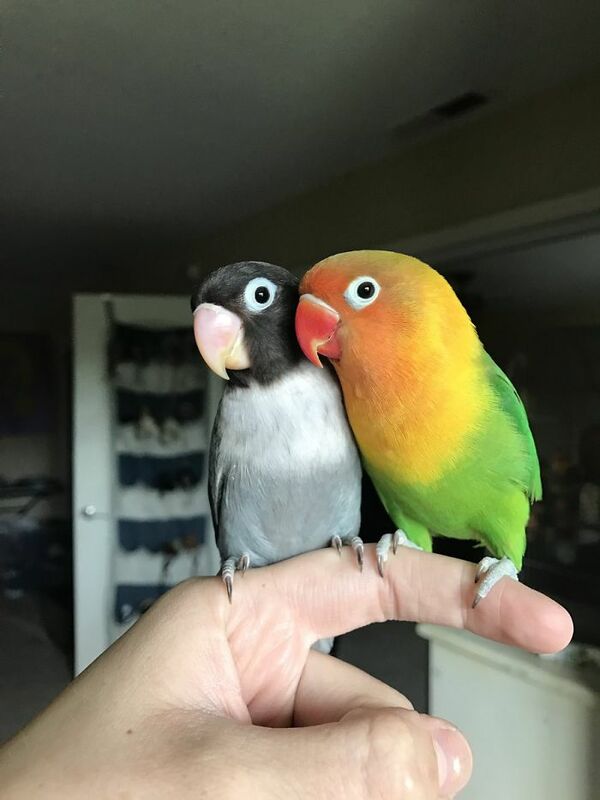 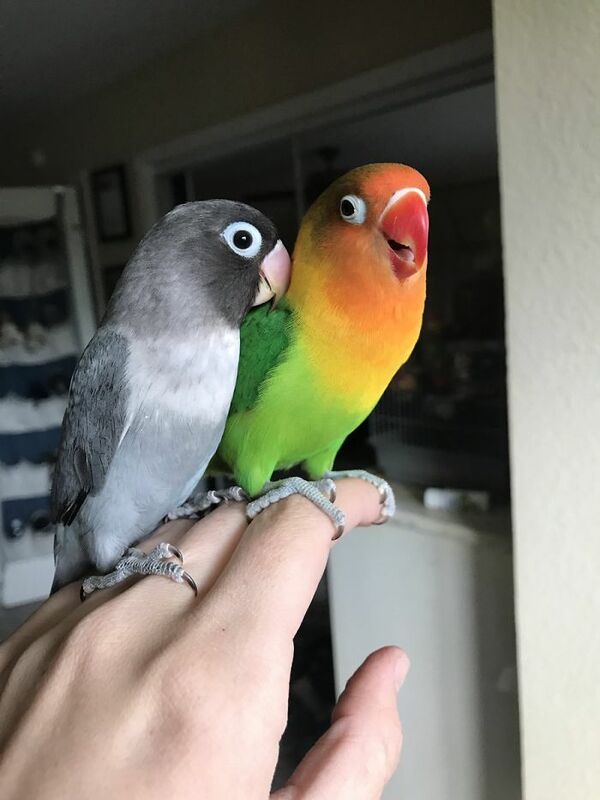 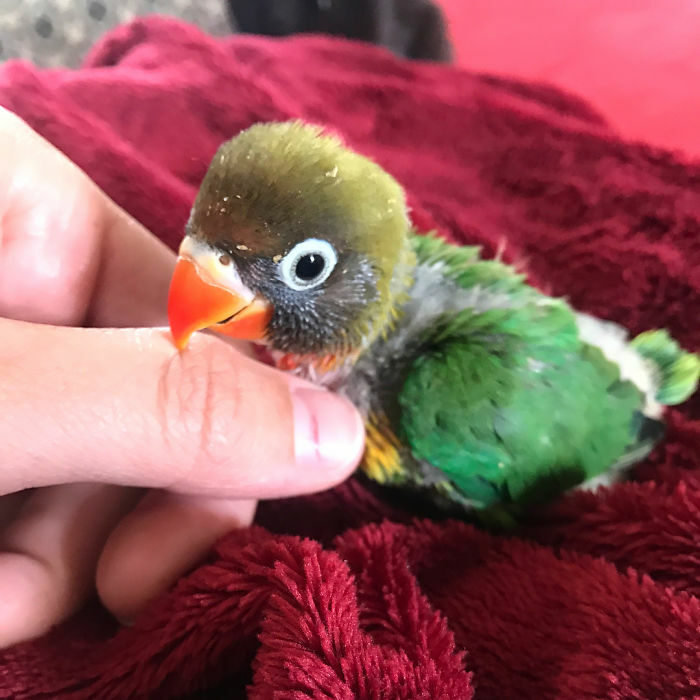 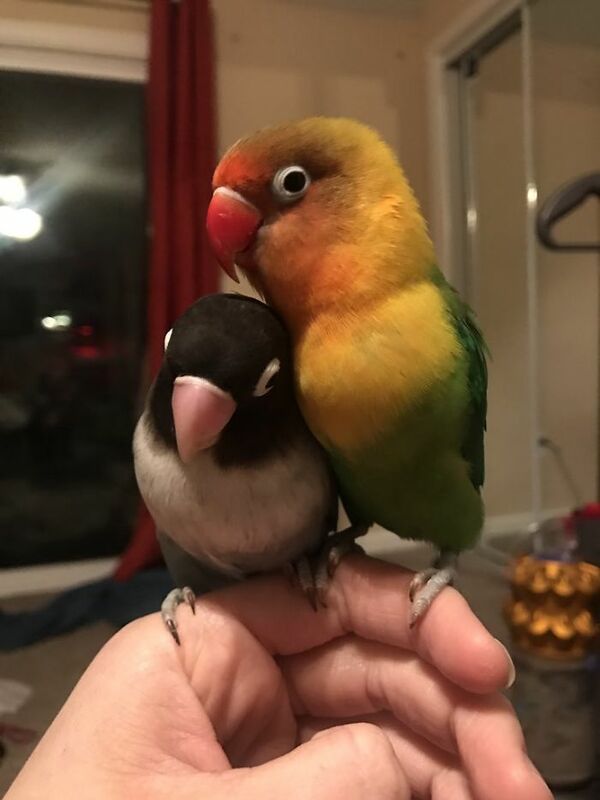 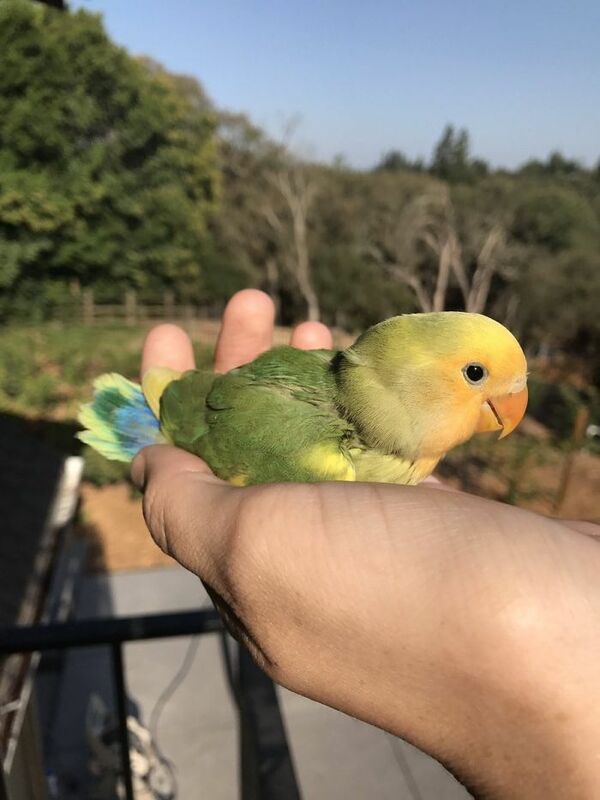 In mid-2017 Maura noticed that Kiwi, the bright, colorful boy lovebird, was getting sad and lonely, so she got him a girlfriend, but the relationship wasn’t successful. 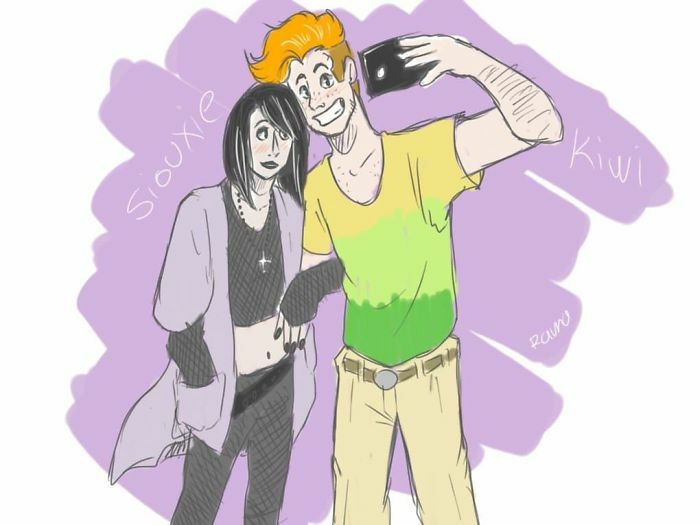 Some time passed and Maura got him Siouxsie – a goth girlfriend. 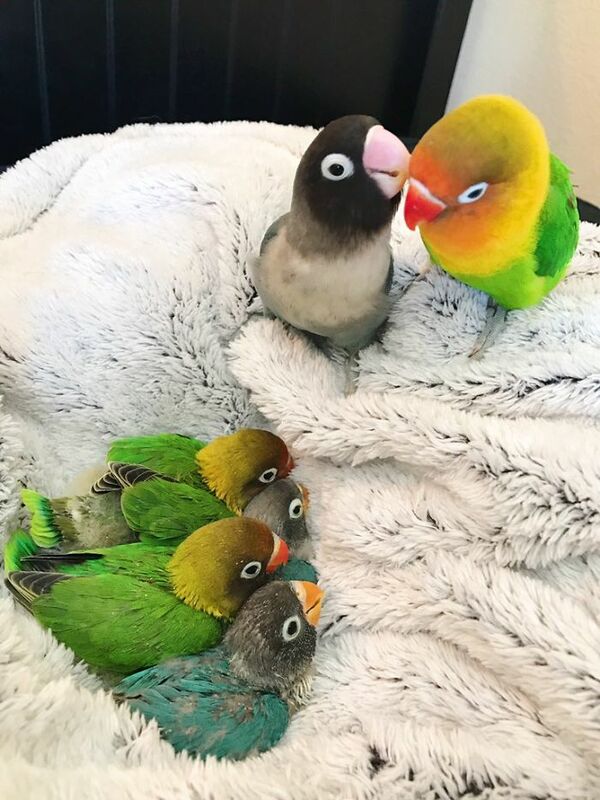 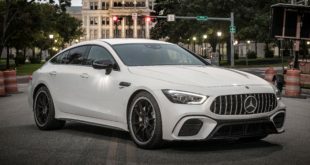 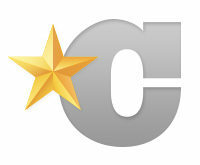 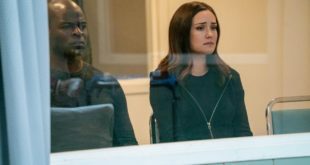 Take a look at the pictures of the young family below. 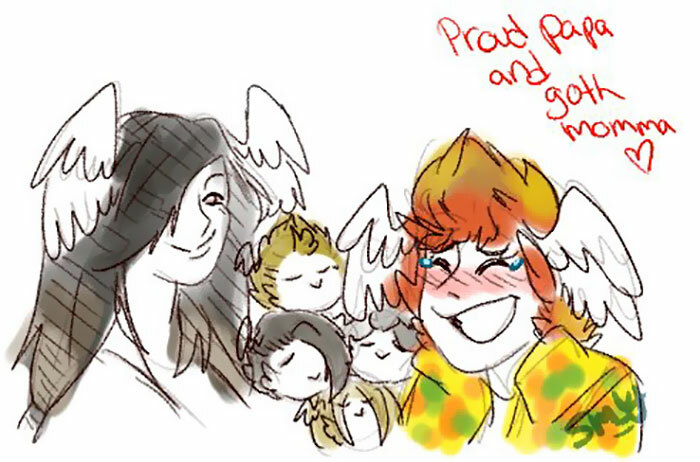 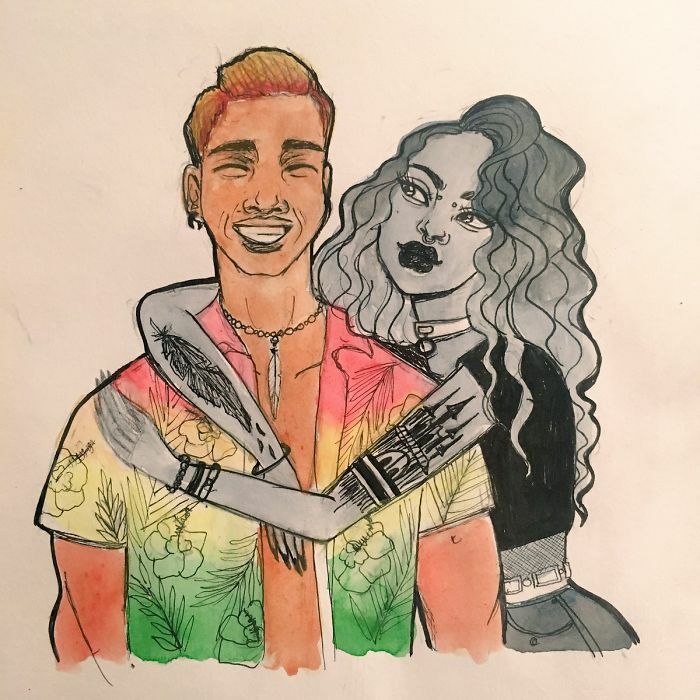 The couple even had some fan art!